A new version of the Illinois Marriage and Dissolution of Marriage Act, first enacted in 1979, takes effect on January 1, 2016. These changes to the law will occur both in newly-filed and already-pending actions relating to divorce and custody issues. The changes to the Act are seen as long-overdue updates to what had become anachronistic legal standards. The updates are the result of the work of the Illinois Family Law Study Committee, formed in 2008, which was tasked with rewriting the act to place the emphasis on the children’s needs and reflect a more modern understanding of family dynamics and divorce. The update brings with it several major shifts in how Illinois addresses divorce and custody sharing. Perhaps most significantly, Illinois will eliminate all grounds for dissolution of a marriage other than that irreconcilable differences have caused the marriage to fall apart. Currently, Illinois is one of a dwindling number of states that continues to permit fault-based reasons for a divorce, including desertion, drunkenness, extreme and repeated physical or mental cruelty, or impotency. While the no-fault “irreconcilable differences” ground was the most popularly-indicated reason for a divorce, it will now be the only one available. 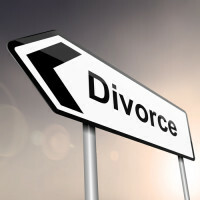 Additionally, under current law governing divorces, couples must first be separated for two years if the couple does not agree to divorce, or six months when the parties do agree. As of January 1st, couples will be permitted to start an action for divorce without a waiting period. There are also a number of changes relating to parental responsibilities and allocation of custodial time. Parents will be required to submit a detailed parenting agreement to the family court within 120 days of the divorce filing, in order to keep the divorce action itself from causing even greater disruption to the children. The agreement must create a comprehensive outline regarding how time and decision-making, among other legally-required subjects, must be handled by the parents. Significantly, the new law will introduce new terms for describing custodial arrangements and visitation. Now, the court will use “parenting time” and “parental responsibilities” to describe visitation and custody, respectively, in order to avoid giving either party the sense that they have won or lost the fight for custody. Additional major changes to the law include ones regarding the cost of children’s post-high school education, new and abbreviated procedures for parental relocation with a child, a revised method for modifying custodial arrangements, new rules regarding spousal maintenance, and a modified formula for calculating child support payments. Speak with your family law attorney to discover how these changes may impact your case. If you are in need of legal assistance with an Illinois family law matter, contact the Carol Stream law offices of Johnson, Westra, Broecker, Whittaker & Newitt, P.C. for a consultation on your case, at 630-665-9600.